THE PORT OF MOMBASA is located on the site of one of Africa’s oldest surviving harbours and can be traced back long before the arrival of the Portuguese explorers to a time when Arabian dhows called at the Old Port on the north side of Mombasa Island. The Old Port is next to Fort Jesus, which was built following the arrival of the Portuguese navigator Vasco da Gama. These were the days of the spice trade as the Portuguese pioneered a sea route from Europe that went via the southern tip of Africa. In the 18th and 19th centuries East Africa was colonised by various nations including Great Britain and Germany. In the 1890s the region was partitioned, with Tanzania colonised by Germany and Kenya and Uganda by the British. To facilitate regional trade work commenced in 1895 on a railway from Mombasa to Kampala in Uganda to open up the hinterland for coffee, tea, ivory and skins. 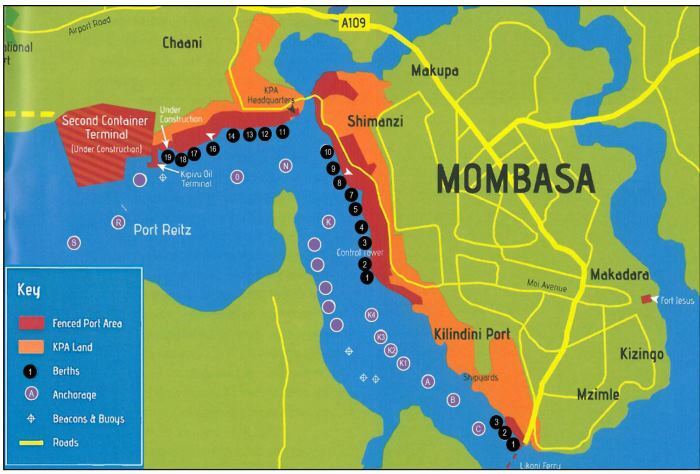 As trade expanded Mombasa became increasingly the gateway to the interior of East Africa and a more sophisticated seaport became necessary with a new jetty required initially to handle larger ships bringing construction materials for the new railway. As a result, a new port was created in 1896 with the building of a jetty at Kilindini on the west side of the island. Later, three more jetties were built to handle railborne goods and other import and export traffic. In 1907 the first of two lighterage wharves was built on the south side of Ras Kilindini with four lighter handling points. 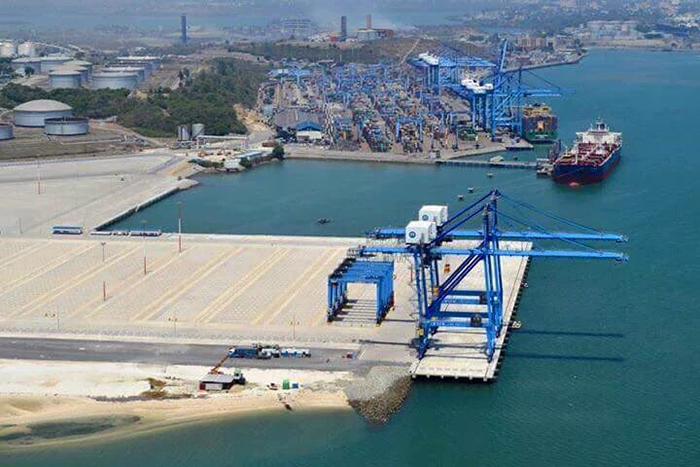 Development of the modern Port of Mombasa began in earnest in 1926 with the completion of two deepwater berths supported by transit sheds at Kilindini Harbour. Three more berths with adjacent sheds, were completed in 1931 and the Shimanzi Oil Terminal entered service in the same year. This was followed by an additional two berths in 1944 to cope with a sudden increase in shipping and traffic as a result of Britain’s wartime naval requirements in the Indian Ocean. Berth No 6 was omitted due to unfavourable foundation conditions. A second lighterage wharf was built in 1954 with eight head jetties. Two deepwater berths – also on the island – were added in 1955 and 1958. As the level of cargo and ship traffic continued to rise, the port was obliged to expand to the mainland at Kipevu where berths Nos 11 and 12 were completed in 1961. The Kipevu Oil Terminal was built in 1963 to serve the East Africa Oil Refinery. Two additional berths were completed in 1967. In anticipation of the move towards containerised shipping, two deepwater berths were brought into service in 1975 ahead of the introduction of containerised shipping. This was the year that marked the beginning of the container industry in Mombasa, with 1,385 TEU handled during the year. With the development and growth of containerised traffic, berths Nos 16 and 17 were converted specifically for container handling and a third berth, purposely designed for container handling, was added in 1980. 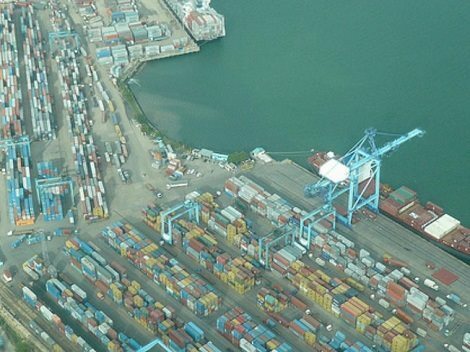 This rapid increase in container traffic at Mombasa prompted the port authority to extend the container handling operation upcountry and in the years that followed it set up two inland container depots at Embakasi in Nairobi (which opened in 1984) and at Kisumu on Lake Victoria (1994). An additional container berth has been added in recent years (berth 19) followed by phase 1 of a second container terminal, which will initially consist of three berths with a final completion date set for 2019. Phase 1 was opened for traffic during 2016. The three berths measure 220, 320 and 350 metres each and are able to cater for Panamax and Post-Panamax size ships. Phase 2 of the second container terminal is about to enter development (2017). Kenya had gained independence as a sovereign state in 1963 while her East African neighbours, Tanzania and Uganda, had taken independence earlier in 1961 and 1962 respectively. In 1967 the three countries joined forces to set up the East African Community (EAC). They also created a new authority, the East African Harbour Corporation, to run the principal ports of Dar es Salaam, Mombasa and the oil port of Tanga. 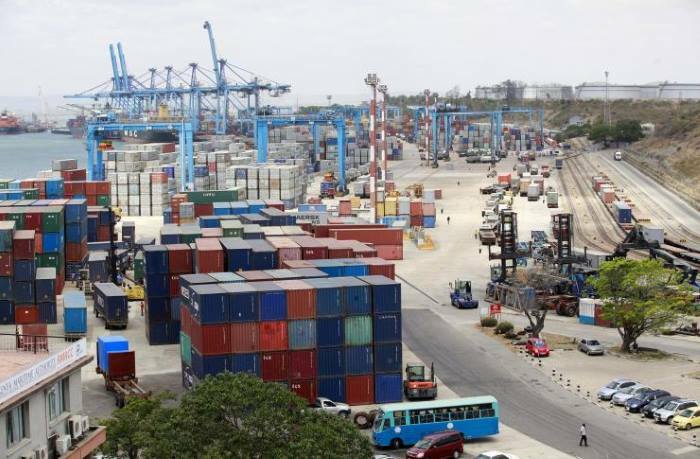 There was positive development under this new organisation, but with the collapse of the EAC in 1977, the running of Kenya’s ports was taken over by the national government, which established the Kenya Ports Authority (KPA) in 1978. KPA was enlarged in 1986 when it merged with the autonomous state organisation Kenya Cargo Handling Ltd to form a single body responsible for all aspects of national port development and operations. Between 2002 and 2006, the port of Mombasa saw an increase of about 4 million tons in total cargo throughout. From 10.2 million tons of cargo handled in 2002, the port handled over 14.4 million tons in 2006 — a 40 percent growth in the five years. This growth has continued. In the calendar year 2016 Mombasa handled a total of 27.36 million tons of cargo, compared with 26.73mt in 2015, 24.9mt* in 2014 and 22.3mt in 2013. * Of the 24.9mt number 20.8mt was made up of imports. Vessel calls for the 2014/15 financial year (the latest available) were 1764 vessels, compared with 1817 in 2013/14 and 1824 vessels in 2012/13. For the financial year 2014/15 (latest available) the port handled 1,077,644 TEU, being the first time that one million TEU was achieved. In the year 2013/14 the port handled 941,859 TEU, and in 2012/13 it was 861,295 TEU. 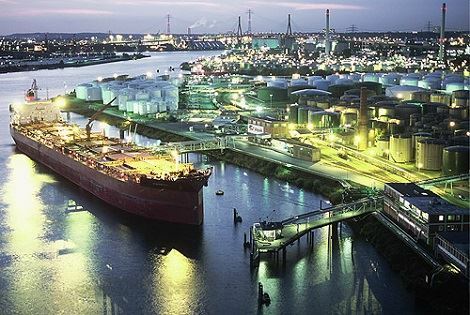 The port is equipped to handle a wide range of cargoes including dry bulk such as grain, fertilisers, cement and soda ash and liquid bulk such as crude oil and oil products. This is in addition to bagged products (coffee, tea, sugar, etc), general break-bulk (iron and steel, timber), motor vehicles, machinery – and containerised cargo. The port has a total of 19 deepwater berths. Six of these are for container ships, others include tanker berths, bulk and breakbulk cargo berths. Lighterage and Dhow berthing are also catered for. The Port of Mombasa is served by road and rail to inland destinations including the capital Nairobi, and the neighbouring states of Uganda, Rwanda, Burundi, the eastern DRC, and South Sudan. A new standard gauge railway between Mombasa and Nairobi was nearing completion and in mid-2017 had reached Nairobi, with extensions to Naivasha and Kisumu, and finally to the Uganda border at Malab being planned. Cargo or goods trains on the standard gauge are due to commence operating from January 2018. Shipping Services: For cargo owners, the port offers a wide range of shipping services to key destinations around the world. Mombasa’s major markets comprise Western Europe, Asia, Far East, the Americas and the rest of Africa. China is becoming an increasingly important trade partner with Kenya and the Port of Mombasa features in China’s One Belt One Road strategy. There are regular services between Mombasa and Dar es Salaam, Durban, Mogadishu, Djibouti, Salalah and Dubai.